EUGEN SUCHOŇ and his opuses. send us e-mail. Thank you. 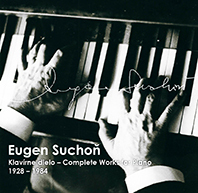 Composer Eugen Suchoň (September 25, 1908 – August 5, 1993) was one of the most important composers of Slovak musical history. From the very beginning the work of the artist has been a representative expression of the modern Slovak musical culture. It has acquainted the European musical scene with the typical psychological world of the Slovak man and his national ethics on the high artistic level, and in spirit of the fundamental tendencies of the European music of this century. 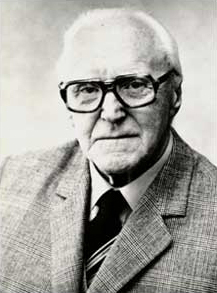 Of particular significance was his second opera "Svätopluk" ("King Svätopluk"), completed in 1959. This historic opera represents the monumental dramatic fresco from the period of the Great Moravian Empire. It is a large-scale work with noble aspirations, displaying Slavic motifs and culminating in the victory of good over evil. Suchon's symphonic opuses Metamorphosis, Suite Balladesque, The Psalm of the Sub-Carpathian Land etc... as well as other instrumental and choral works are enchanting audiences in many cities around the world.